Our company was established in 1997 and has been responsible for providing outstanding service, parts and repairs for new, used and rebuilt truck transmissions, differentials, ring and pinion, rear ends, gears, transfer cases, steering gears, power take off units and PTOs. 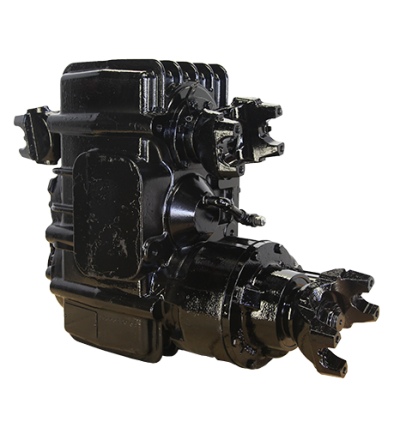 We offer fully rebuilt units from: Fuller, Eaton, Rockwell, Mack, Spicer, Dana, TTC, Fabco, Marmon Harrington, ZF, Isuzu, New Process, Clark, Borg Warner, Allison Automatic, Ford, International, Navstar, IHC, Oshkosh, FWD, Mercedes, Muncie and Chelsea. We also service and repair spindles, hydraulic pumps, axle housings, axle shafts and axles. Visit our web store to view drive train, parts and accessories for sale, if you don’t find what you’re looking for or need assistance, contact us or call us Monday through Friday 8AM to 5PM EST and we can help. Call Today, receive your drivetrain parts tomorrow!